The front panel is actually just one layer. 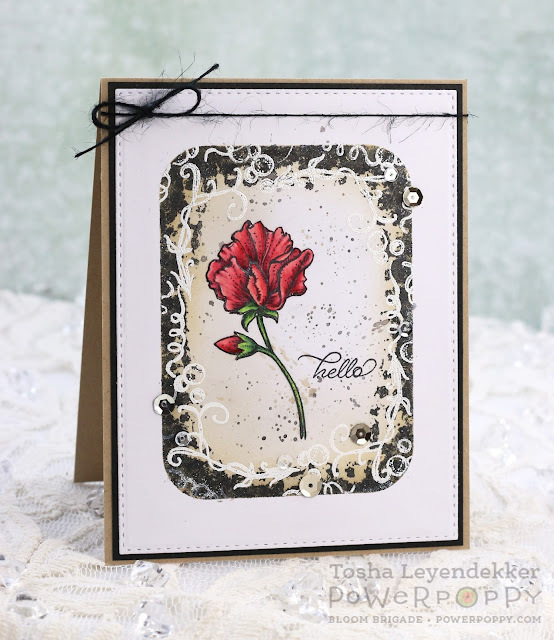 I hosted Inspire Me Monday, a few weeks ago on the Power Poppy Blog, inspiring stampers to use images in unexpected ways. (You can view the post HERE.) And I thought it would be fun to use those same images again to create another border. I started by taking the Rounded Rectangle die by Dienamics (MFT) and diecut a negative space into copy paper, laid it over my X-Press It panel and taped it down to reveal a rounded rectangle opening. I took my Ranger Distress Inks (Antique Linen, Vintage Photo and Black Soot) and lightly distressed inside the rectangle opening. After that, I took the tire tracks and smoke images from the Move the Soul set and stamped around the borders, with Black Soot (Ranger Distress), to give it grungy look. Next, I stamped the floral stems and peas, (from the Sweet Memories set) around the blackened border, with Whisper White (SU!) pigment ink and embossed them so the images would pop against the distressed background. Now for the flower. I stamped the Sweet Pea image directly onto the X-Press It cardstock with Tuxedo Black Memento Ink and colored it with Copics. Now I know Sweet Peas aren't normally red, but I took creative license and colored mine red because I thought the bold color looked good with the grungy distressed background. Lastly, I added some splattered ink with watered down Black Soot and Vintage Photo Distress Inks, some Sequins, and a burlap string bow. 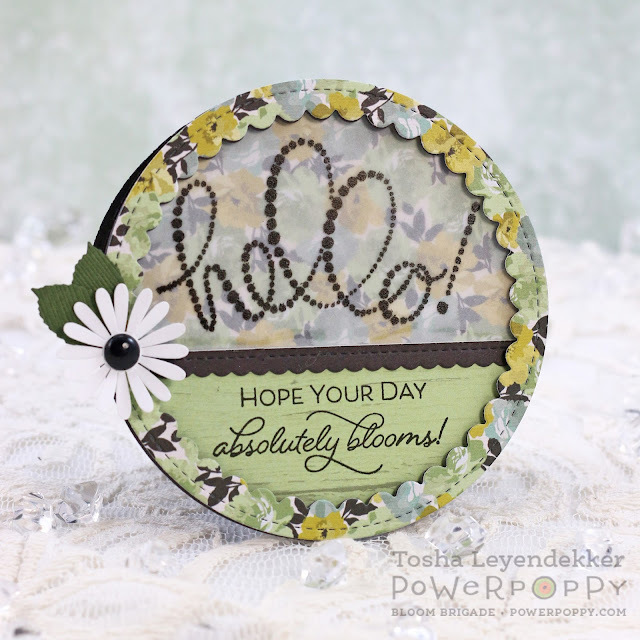 Oh...I also added a sweet little "hello" sentiment, from the Sweet Memories set, towards the bottom. For some more creative Power Poppy inspiration, stop by Stacy's blog! That's it dear friends. I hope I've inspired to you get creative today. Hello, Hello, Hello!!! I am so excited to be posting again. 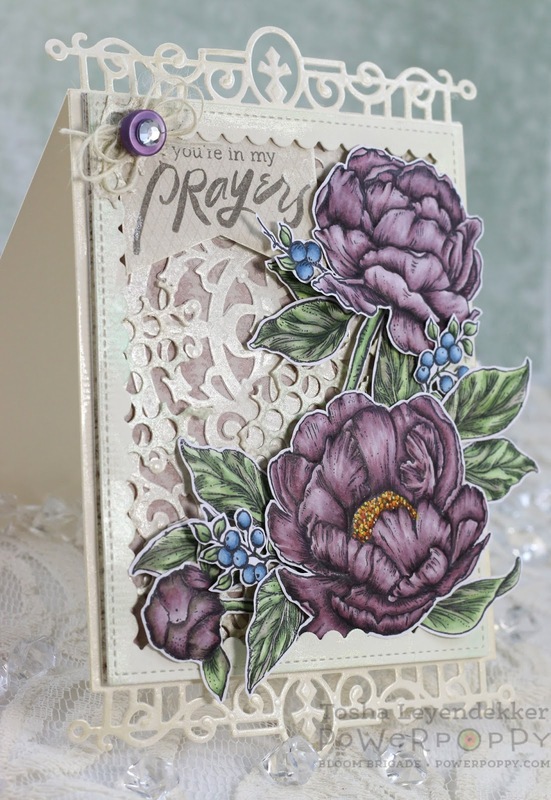 I am just in love with the newly released set Peony Muse!!! Seriously...IN...LOVE!!! These blooms are just a delight to color and they are so full of dimension! 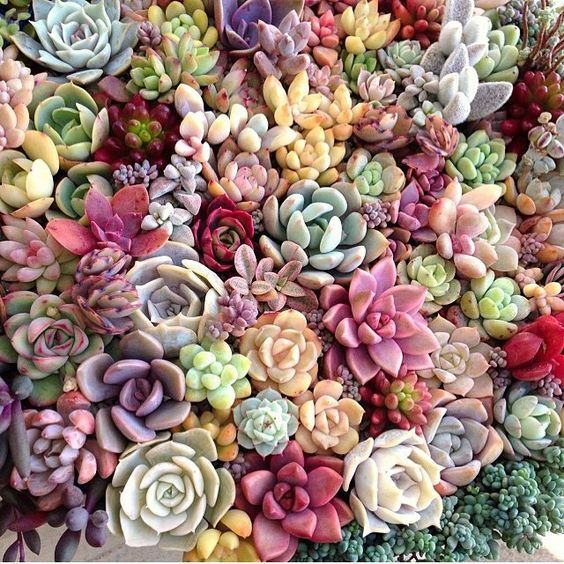 I also love that each one is separate with a variety of leaf groupings and berries! The floral collages one can create are just endless!! I wanted a bunch of vintagey layers, so I used a variety of dies, each individual bloom and a bunch of leaves and berries!! I colored each one up with Copics, cut them out and burnished each one to give it some extra dimension! I also added some Nuvo Mother of Pearl Embellishment Mousse to all the diecut pieces to give it a touch of vintage elegance. Here's a bit of a profile pic so you can see the shimmer a bit. If you click on the image, it shows it even more. That's about it folks. But there is some more inspiration for ya!! If you haven't stopped by the following Bloom Brigade blogs...you really should. These gals have serious creative skills!! Thank you so very much for dropping by! I hope you have a blessed weekend!! It's Power Poppy Spring Fling Release day and we've saved the biggest release for last!! Seriously!! Today we are featuring a new image called Tiger Lily XL. This Tiger lily is huge! It's truly a 4x4! So fun! You don't have to color up the whole image either. It's super trendy right now to just show close-up photos of different parts of a flower. I wanted to tackle this big boy though and colored the entire thing and had a ton of fun too. I started by stamping the Lily with Eggplant Memento ink, and the leaves with Pistachio Memento ink. I colored them with Copics and then I cut it them all out, and burnished them to give more dimension. If you're interested on how to burnish, I did a tutorial over on the Power Poppy Blog a couple of years ago. Click HERE for detailed instructions. If you haven't already, be sure and stop by the rest of the Bloom Brigade blogs for some more inspiration! Thanks so much for dropping by!! I hope you've enjoyed the new previews of Power Poppy's Spring Fling release!! I chose to work with Artful Display, because lets face it...I love anything vintage. I started by stamping the plates onto copy paper, photo copied them onto Pion decorative paper and Minc'd them with white foil. I stamped the sentiment with Onyx Black Versafine onto the same paper and punched it out using a Stampin' Up punch. I embossed the background and added a sweet little diecut border and that's it. Easy Peasy. That's it for today! Now tomorrow is release day, and we've saved the biggest for last. Seriously...the biggest flower stamp I've ever worked with and it's a beauty! Can't wait to share it with you!! I fell in love with this dotted "hello" the minute I saw it! I have another fun idea I'll be sharing next week with it too. So many ideas!! I started by stamping the "hello" sentiment onto vellum cardstock (PTI) with Black Onyx Versafine. I like that ink because it stamps really clean onto all surfaces. However, you HAVE TO WAIT until it dries!! And it takes awhile on the vellum because it can't soak into the paper. 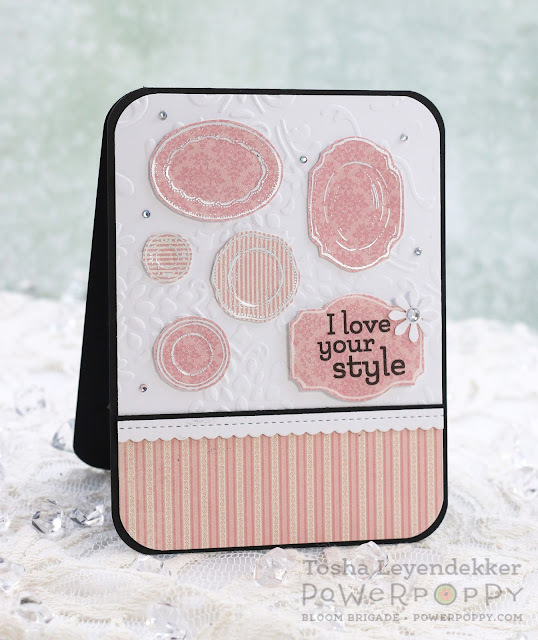 I backed the circle with the same dp that I framed it with and diecut it using the Scallop Circle die by Pretty Pink Posh. 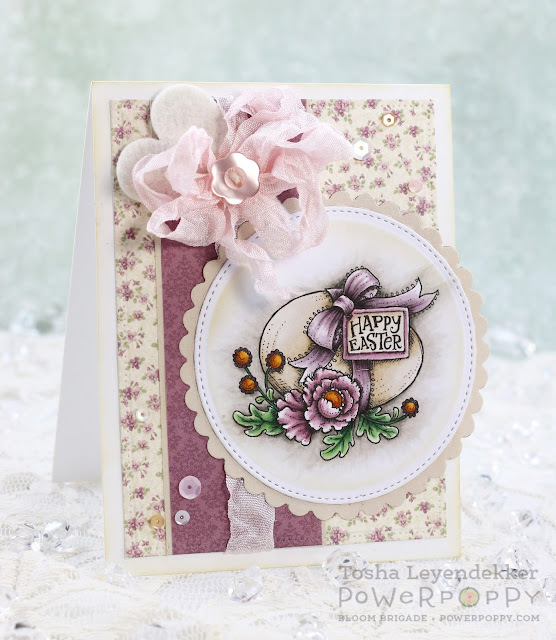 The sweet little Scallop Border was also diecut using a Pretty Pink Posh die. Lastly, I added the darling sentiment and a charming little punched daisy to finish it off. No coloring today peeps. Just stamps and ink. For some more inspiration, check out the blogs of my fellow Bloomies. These gals have some serious creative skills!! Once again, I have another preview to share with you tomorrow. It's quite the unique set and is just lovely!! So I hope you'll drop by again. Hello friends!! 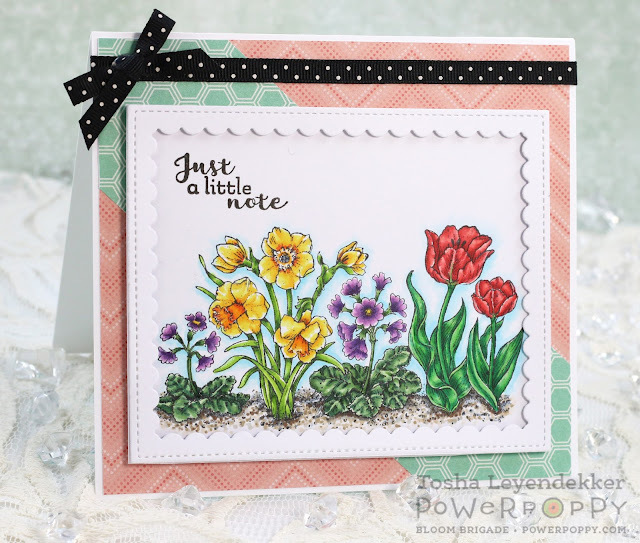 It's day 2 of our Power Poppy Peeks for this month's release, and we're featuring 2 new sets: Succulent Singles and Burst of Kindness. Both are gorgeous and have the most beautiful images and sweet sentiments!! 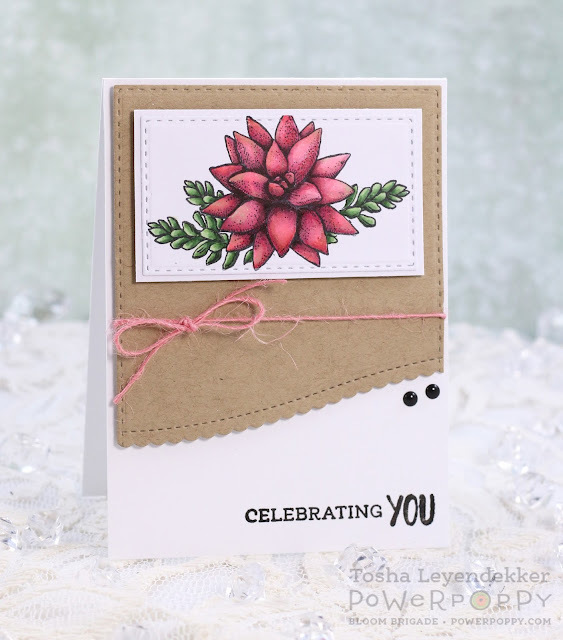 I chose to feature one of the Succulent Singles today on a CAS (Clean and Simple) card today. 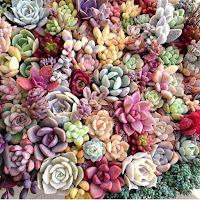 While perusing Pinterest looking for some succulent inspiration, I ran across this photo which inspired my hot pink succulent I thought the color was unique and fun; perfect for the "celebrating you" sentiment. I colored the image with Copics and let it be the focal point with a CAS design. That's it for my project today. Be sure to check out what the rest of the Bloom Brigade has to share today. You won't want to miss a stop, let me tell you!! Thank you so very much for stopping by, and your super kind, encouraging comments yesterday. They are a blessing. 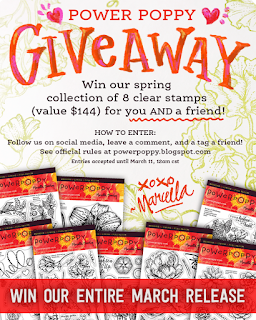 Be sure to stop by tomorrow for another fun peek at what Power Poppy is releasing this month. Hello, hello, hello!!! I am so excited!!! Power Poppy's Spring Release is just about here and we (the Bloom Brigade) get to inspire with a little taste of what's to come!! Once again, Marcy has created the most cheerful, beautiful, charming and creative sets that one could imagine. Seriously!! And we're starting with a beautiful "garden" set called Natural Beauties. No one can draw stamp images like Marce!! 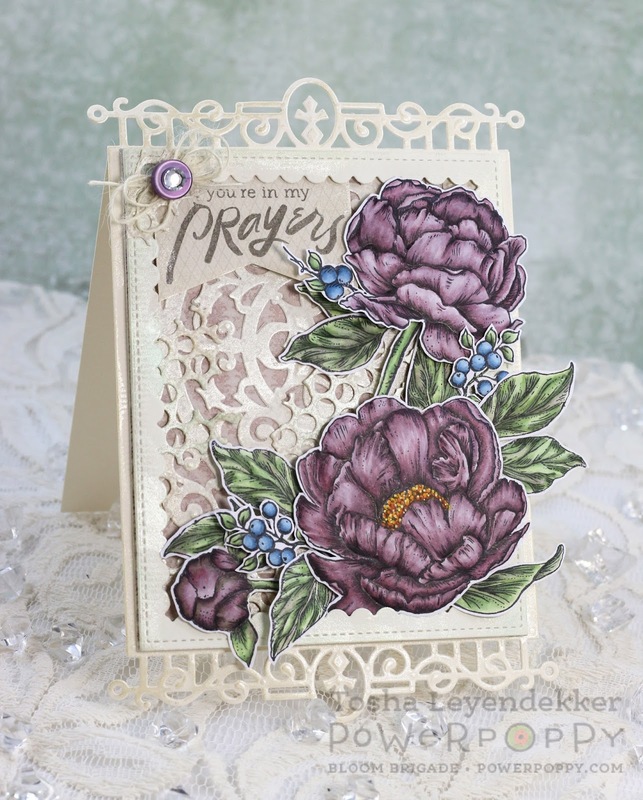 The details are exquisite and oh, so sweet!! I chose the larger image, but there are a few sweet smaller images too. This is one "happy" set!! My card is super CAS. I just stamped the image with Tuxedo Black Memento ink onto X-Press It cardstock, colored it with Copics, and framed it with a darling Scallop Frame (Pretty Pink Posh). And I have some really exciting news to share with you too...Power Poppy will have coordinating dies with this set, as well as as a few of some of the New Releases. And....they will be available for Pre-Order on March 14...Power Poppy's Release day!! Woo-Hoo!! If you haven't already, check out the following Bloom Brigade Blogs. These girls are just full of delightful inspiration!! 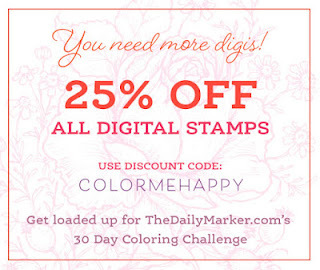 Also....all Power Poppy Digital stamps are 25% for the entire month of March!! So go get yourself some new digis!! They are super fun to work with!! That's it for today y'all!! 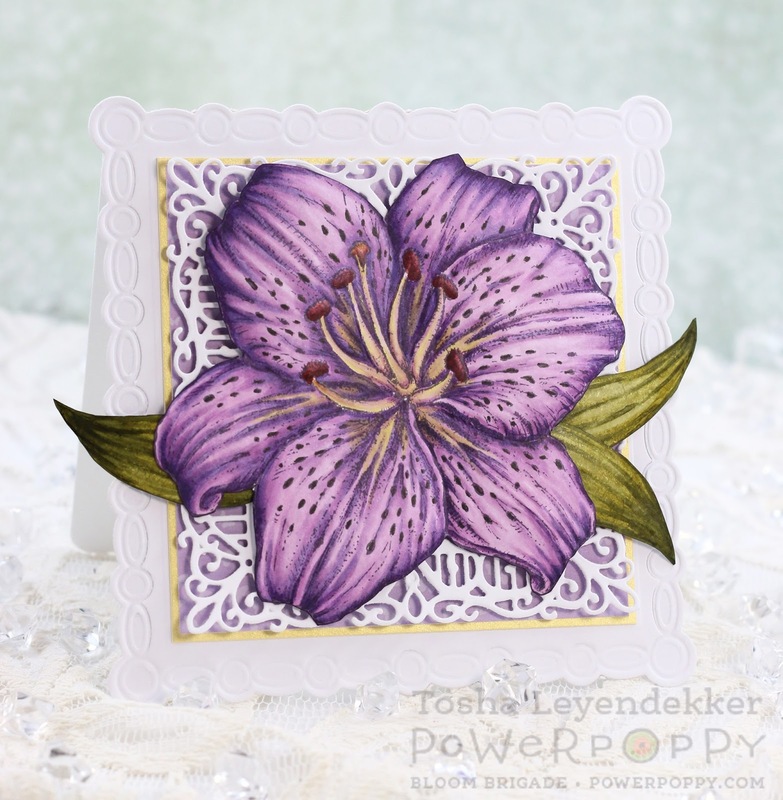 Be sure to visit tomorrow for a peek at another of Power Poppy's new to be released sets!